Best Western Premier Freeport Inn Calgary Airport Blog: Calgary has HUGE events this May! Calgary has HUGE events this May! Love beer? Then you NEED to come to Canada’s biggest and best Beer Festival! On May 3 and 4 at the BMO Centre in Stampede Park, you can taste over seven HUNDRED beers and dine on fantastic snacks and pairings from some of Calgary’s finest vendors. Let me repeat that: SEVEN HUNDRED BEERS. If you love the amber suds of a good ale, the dark mystery of a fine stout or the stunning sunshine of a premium lager, you can’t afford to miss this one. There’s a new generation of country songwriters, and Thomas Rhett is one of the biggest up-and-coming stars! The son of country legend Rhett Atkins, Thomas Rhett made his own name by combining mile-wide pop hooks with the heart and soul of country! This is music for you to raise your lighter to the sky in a sea of appreciative fans. See him on his Life Changes tour at the Calgary Saddledome on May 8 to find out why he’s the next big thing in country music! A figure-skating extravaganza the likes of which you’ve never seen! Stars on Ice features a host of Olympic competitors, medalists and world champions doing what they do best – combining incredible artistry and athletic prowess into one of the most captivating displays in the world. Skating to musical vignettes, this show features solo performances, pairs and show-stopping ensemble pieces that show why these skaters are the best of the best. If you fell in love with ice dancing at the last Winter Olympics (and with Canadian pair Tessa and Scott’s incredible chemistry, who didn’t?) then you owe it to yourself to check out Stars on Ice this May 11 at the Saddledome! 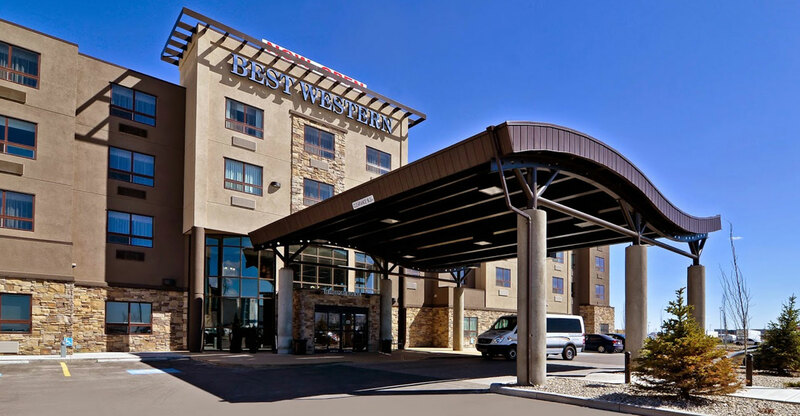 Whatever brings you to Calgary, the Best Western Premier Freeport Inn & Suites makes your trip a breeze with a complimentary shuttle to and from the airport! Book your stay today and experience the best of Calgary!